I am Mantastic & Fantastic and have been playing Puzzle and Dragons for over two years and currently play my 2 North American accounts and I am IAP light. I initially got into the world of blogging as a result of being asked the same questions by my friends who I got into PAD and instead of trying to answer the same question to each person, I put my thoughts down on this blog. 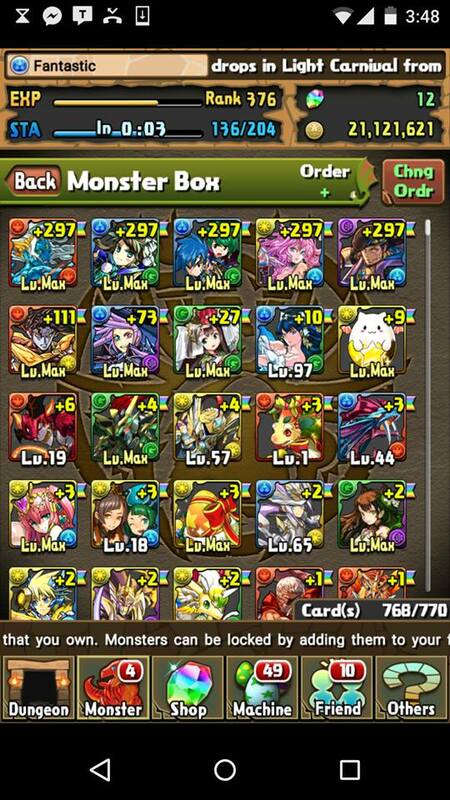 After the first few posts, I realized I thoroughly enjoyed the writing experience as well as sharing my knowledge and love for Puzzle and Dragons. My goal with this site is to provide a valuable resource for all PAD players, in the form of guides, opinions, and strategies that are not IAP intensive. I strive create content that is accessible to all players ranging from the elite veteran as well as players who are just embarking on their Puzzle and Dragons journey. The topics displayed at the top of this blog will be more “timeless” articles and will try to keep them updated as new content is released. I have published numerous team building guides along with sharing my random thoughts, strategies, and opinions on new content being released. Mantastic is my main account and I never knew about rerolling and started with countless 3 & 4 star things and sorting by CHR looks quite distressing and would have looked worse if I had not fed away numerous plus egg mistakes. 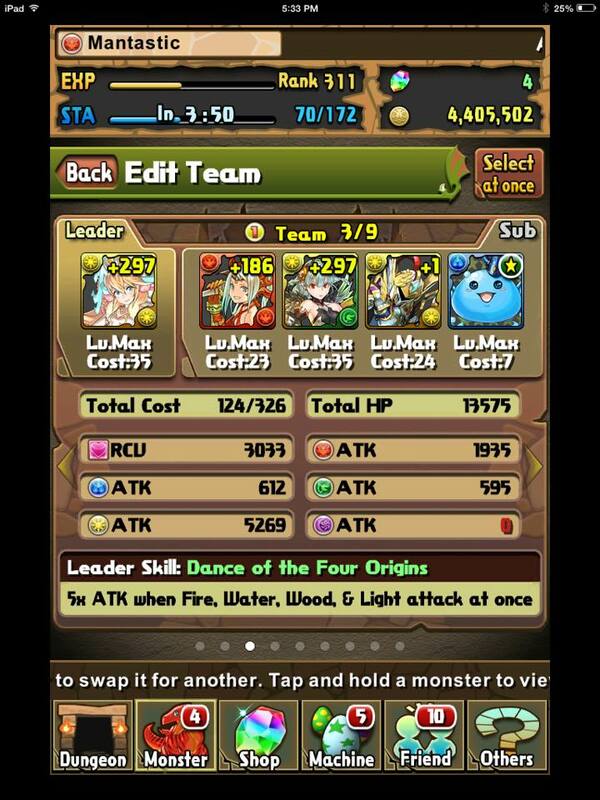 My first real REM god (I am excluding Gabriel as he was the first REM god, but not helpful) came around 3-4 months into my PAD life and was Kirin Sakuya ! 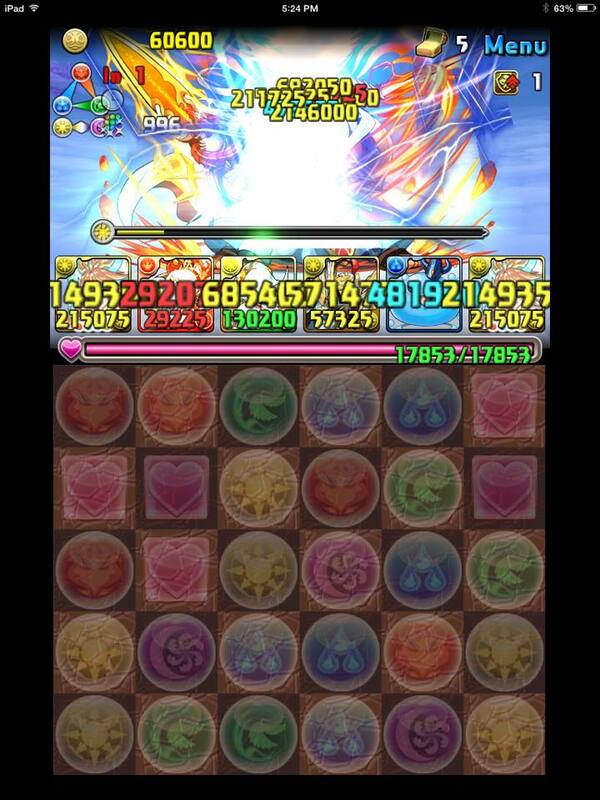 I had up to that point cleared Purple Hera, Two Heros, The tricolour Takemikata, as well as legendary Thief Descended. But once I acquired , my pad life skyrocketed in terms of fun and excitement. 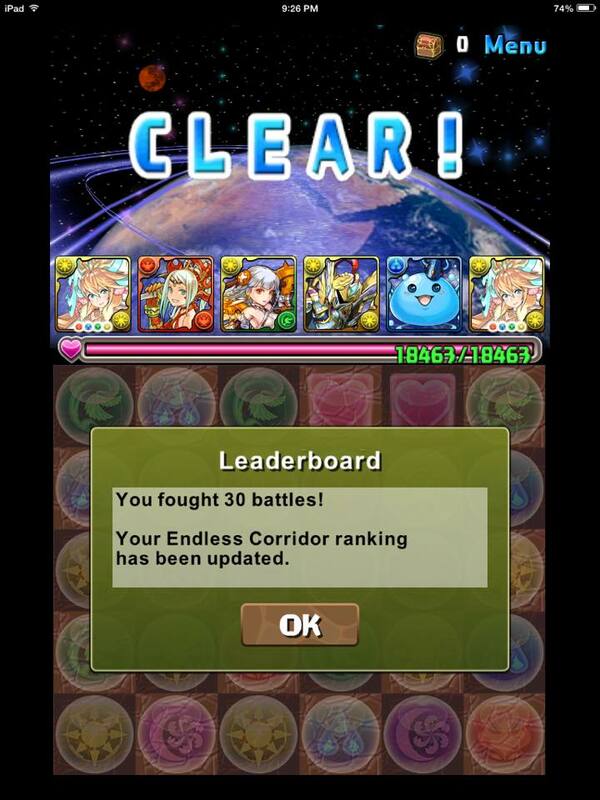 I used a farmable team and surprisingly cleared a lot of content including True Endless Corridors and the Zeus Vulcan when it was current content. 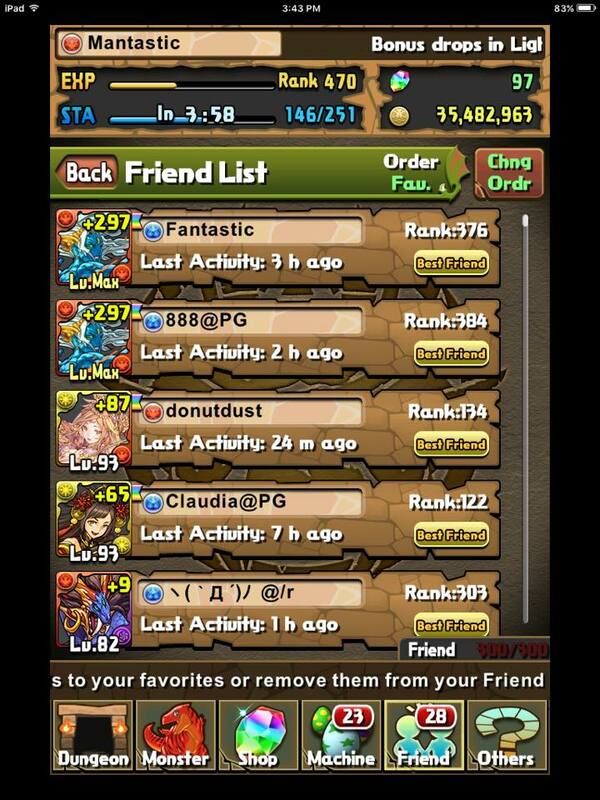 Fast forwarding I now have 15 +297s as well as a full 300 friend list. As such, I tend to clear out in active players on a regular basis and apologize in advance if I cannot accept everyone. 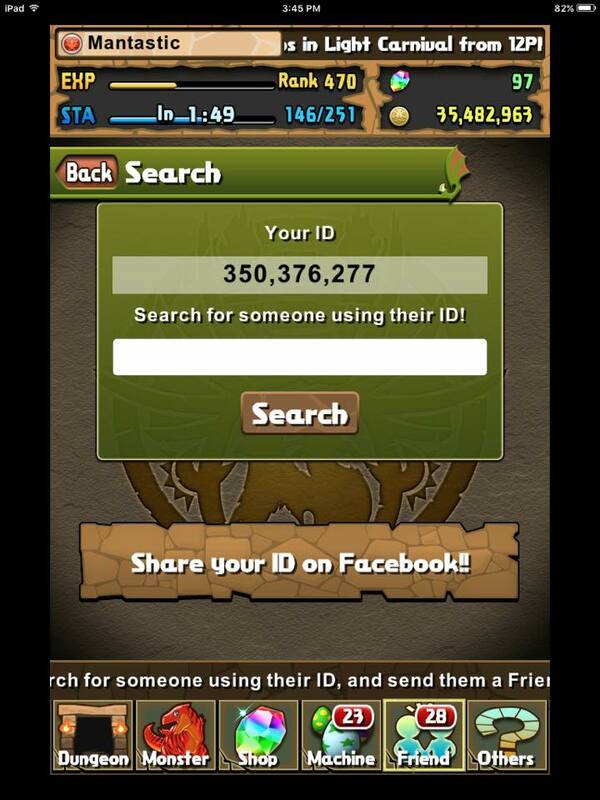 If I am ever allowed to expand my friend list again, I will fill it back up to max capacity. 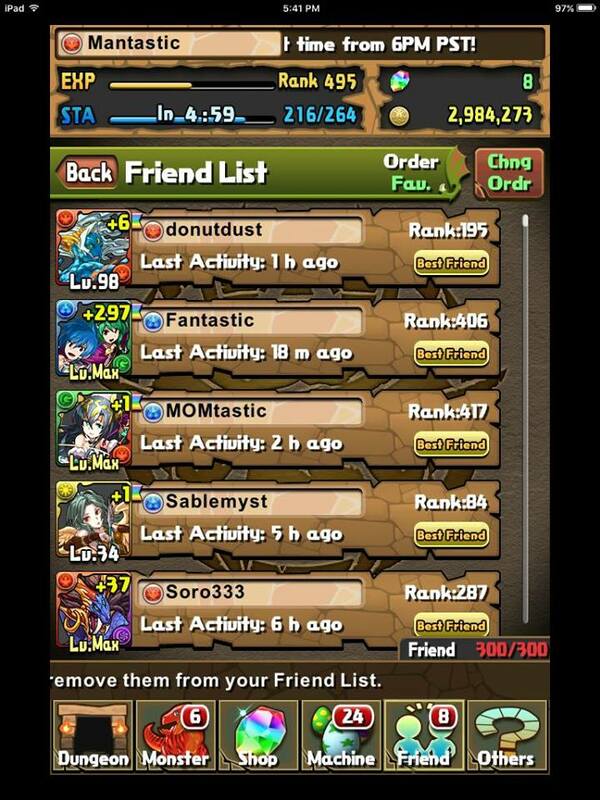 My friends list is vastly populated with Sakuya and Kali players and that probably helped with gaining best friend tokens as I have consistently run for almost 2 years. The MOMtastic account is my mom, and is one of the ways I am able to connect with my mom and has vastly improved our relationship. My alt account (Fantastic) was inherited from a friend who quit around rank 200. 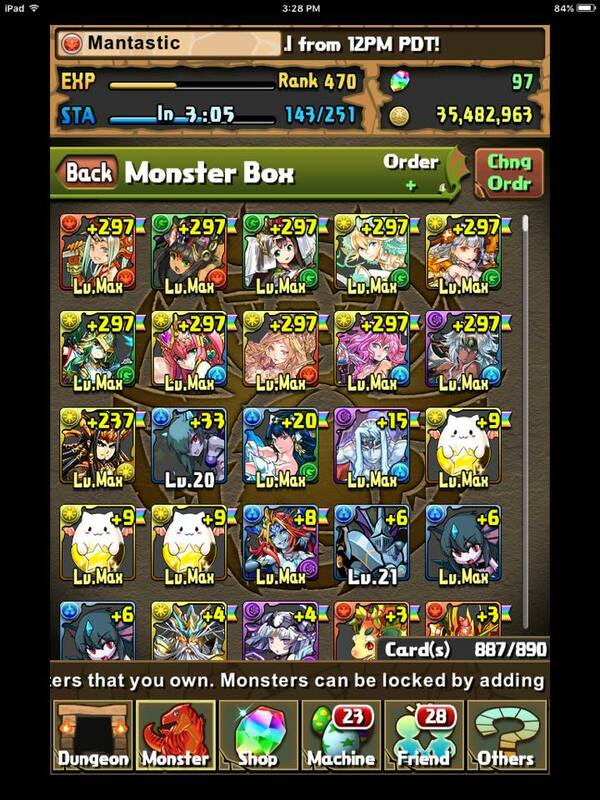 It had a hypermaxed Umi Yami and essentially no other plus eggs. 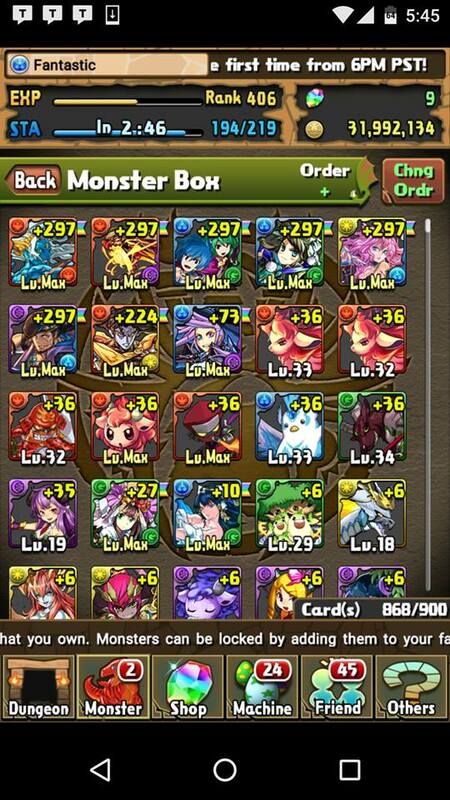 Now it has 6 hypermaxes and I am mostly looking to populate their friends list with Awoken Shiva and . I am pretty much love the play style of the match 4 colours -> 25x dmg and I am trying to branch out to other top tier leads that I have acquired over time with only providing a competitive alternative to with minimal plus eggs. Currently, my most played teams are and for Mantastic, while Fantastic uses and . I switch teams based on the dungeon requirements as each have their own strengths and weaknesses. May the skyfalls be with you and Happy Puzzling! Thanks for the intro. Hope to learn more. I’m ingame friends with your mom. hehe. Hey mantastic, this is bluewolf19, you said to contact you thru your website about creating a co-op team to go against myr next time she comes up. Check out my pad herder account and lets see if we can create a good co-op team to take her down, and see what I need to work on till then. i feel like i used to play badminton with you..
really oO What’s your name? Hey Mantastic, long time luker first time commenter. I love your blog and positive attitude! Quick request, would you mind friending me with fantastic? I would like to best friend them to get access to myr with light akechi. 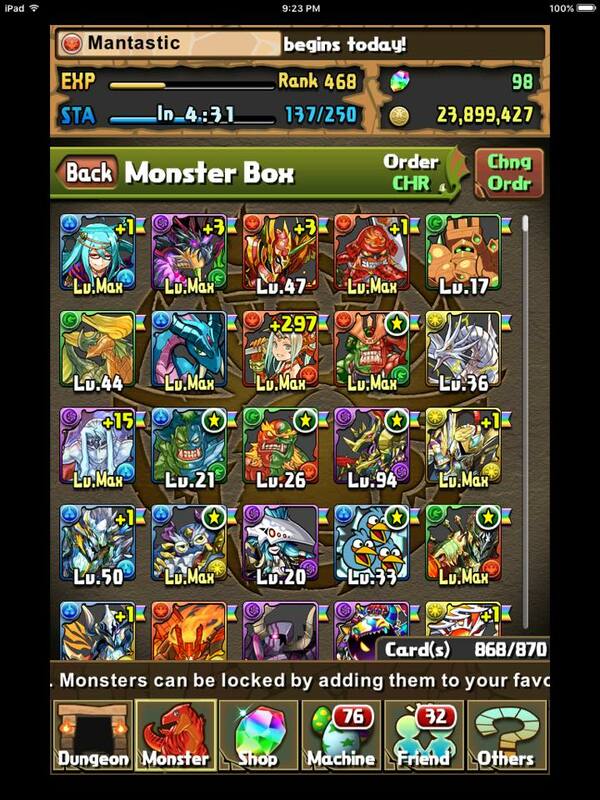 My most common lead is pentamax myr with saria inherit (always on) as well as the usual a liu bei, acc, sarasvati, etc. Just saw ur UBC shirt on ur youtube videos and as a fellow UBC student I’m glad I have someone in my sch who also plays PAD. Keep up the good content! I actually graduated a few years ago, but happy to know you enjoy my content! Hey mantastic I’ve been following you for awhile now and I really do admire you but you said you beat thief descended with only three and four stars well I’ve never beaten a descended and I really want to know the easiest way possible to beat a descended dungeon bc my monsters aren’t the best and I don’t know what to do if you could hit me with a team that’s easy to obtain that would be much appreciated. The early descends are quite easy now by comparison due to Powercreep. Most modestly invested teams should be able to clear it. Who is your strongest leader? Hey mantastic 😊. Any thoughts about the PadX anime? I randomly encountered it on YouTube. Mantastic, what do you think is the current “health” of this game? Are new players coming in? I am afraid what happened to Monster Strike in NA will happen to PAD in NA. Thoughts? 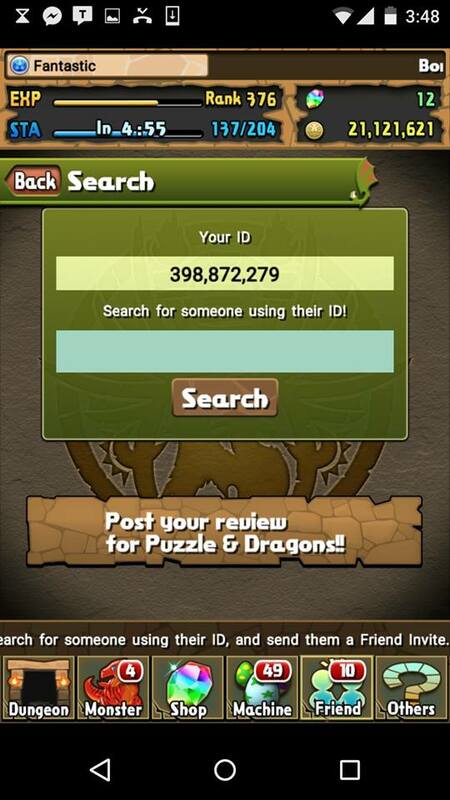 Pad is still going strong in NA and I highly doubt it would ever shut down. Monster strike was perhaps too new/different for the na audience. Do you do any mentoring? I am really new to pad. I have read many of your guides but I am starting to have a very hard time clearing content now. 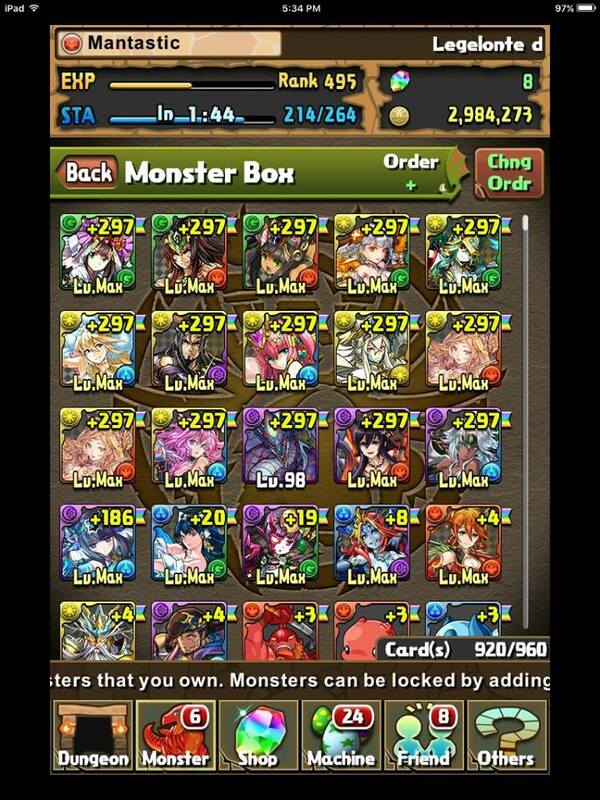 I have some great leaders like gods of hunt U&Y, Lightning, cthugha, goddess of power kali, and awoken oden. I am trying to build a good team. I just can’t seem to find a good team composition. Is there any chance you or someone else could help me get going a little better? It’s very cool that your first rem roll is a Gabriel because that is my first roll too.